Your Home is More Energy Efficient: Adding a storm door gives an extra layer of protection between the outside elements and your home. During the winter the storm door can keep warm air trapped inside your house. 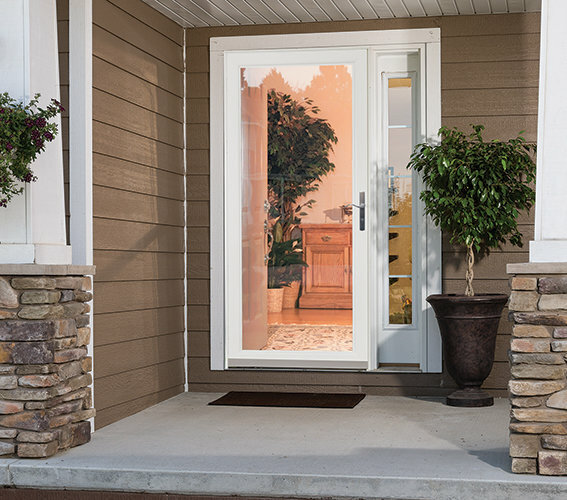 During the summer the seal between the storm door and entry door can keep the cooler air inside your home. Protects Your Home from Pests: There may be days when you want to let in a breeze but you do not want to worry about bugs, rodents, and pests. Storm doors with screen inserts allow air to flow through your home while keeping the pests outside! Security: A locked storm door adds another level of security to your home. It may discourage burglars and thieves since there is an extra layer to go through to gain access into your home. Call Joe Wilde Company today & one of our experts will be able to help serve you!